In July 2017, our chair, Carolina Kunnen and videographer/photographer Rens Bais teamed up with Our Children’s Vision, Major League Baseball Players Trust and KaBOOM! in Opa-locka, Florida, as part of the community playground building event. With the aim of giving kids in this community something of childhood that every child should be entitled to have, more than 200 volunteers (from the here fore mentioned organiza1ons) and the Miami community joined forces to build a new playground (based on the children’s drawings) at the Room2Bloom community center. 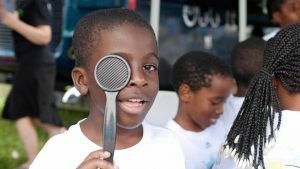 Knowing that playing outside is not only good for building muscles and imaginations, but that it also has a protective effect on children’s eyesight – all of the children that attended the playground building event had the opportunity to receive free eye testing hosted by Our Children’s Vision. 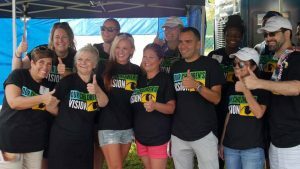 The Optical Foundation was honored to be part of this initiative and provide vision testing for the children in the Opa-locka community and help make a change in the lives of these children.